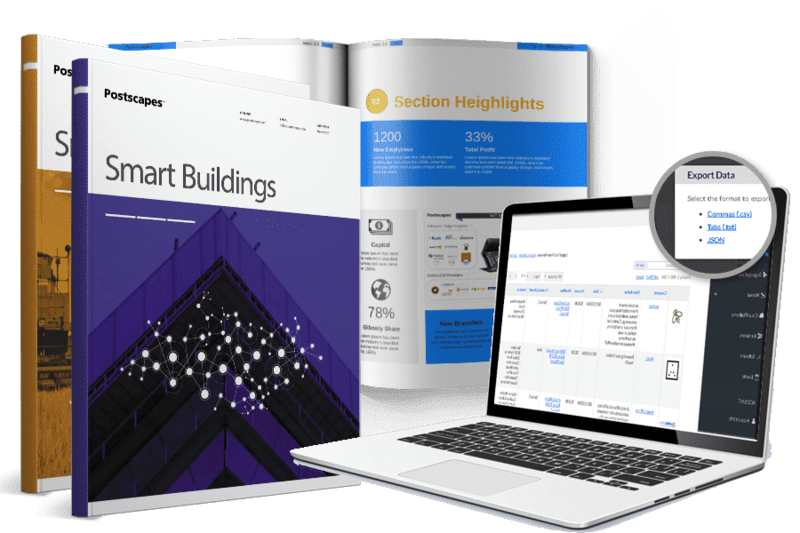 Discover innovative Raspberry Pi Internet of Things (IoT) related projects, ideas and platforms. Below we take a look at a few possible choices including USB WiFi, WiFi Shields, Bluetooth, WiFi/Bluetooth USB Combos, RF Add-ons, and Cellular solutions to help get your wireless project up and running. "We tried half a dozen modules to find ones that work well with the Pi and Bone without the need of recompiling any kernels: its supported by the Bone's Angstrom installation that comes with each Bone as well as the Adafruit Occidentalis distribution. You'll have wireless Internet in 10 minutes! 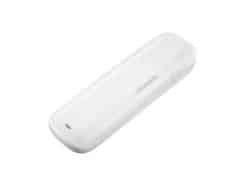 Works great with 802.11b/g/n networks." - Keep in mind Wi-Fi can draw more power than the Raspberry Pi USB port can provide out of the box. 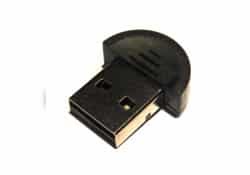 - WiFi adapters that support the RTL8192cu chipset are helpful as it is supported in both the latest Raspbian release and Adafruits Occidentalis distributions. - Raspbian releases after 2012-10-28 include a WiFi configuration utility. 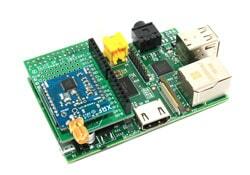 The Slice of Radio is an easy to use, secure, two way RF transceiver for the Raspberry Pi. Comes as a pre built module so is plug and play, it utilises the Raspberry Pi's on board serial port (UART @ 9600bps) for communication so needs no driver. Being so low profile, the Slice of Radio will fit inside some Pi cases, the Stealth and Pi-Bow have been tried already. The Slice of Pi is a convienient 3 in 1 product. In addition to being a small break out board for the Raspberry PI pins, it has also a socket for a wireless module and a small prototyping area. 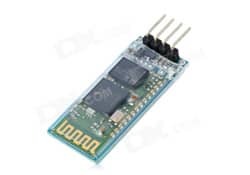 An XBee style connector for XRF (£11.88) / XBee / RN-XV ($34.95) etc, and can support OTAMP (over the air micro programming) to another XRF family device. 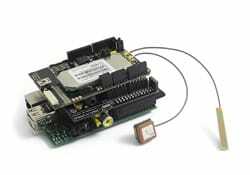 "In this blog entry, I used one of their wireless sensor modules (in this case temperature) with a pair of XRF RF modems to add remote wireless temperature sensing to the Raspberry Pi using the serial connection on the GPIO pins." "Our shield for RaspberryPI is the most elegant way to add low-power wireless connectivity to the most popular compact computer in the world." Wifi shield for Raspberry Pi allows to communicate your Raspberry Pi with your router through WiFi protocol. The RN-XV module by Roving Networks is a certified Wi-Fi solution especially designed for customer who want to migrate their existing 802.15.4 architecture to a standard TCP/IP based platform without having to redesign their existing hardware. 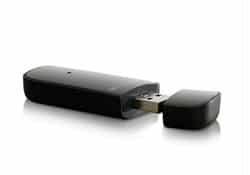 "Motorola employs highly stable stack, combo Bluetooth & Wi-Fi USB adapter of two one role. 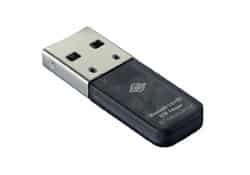 Bluetooth: support standard Bluetooth ver 3.0 + HS, WiFi: IEEE802.11n, IEEE802.11g, IEEE802.11b"
"The adapter combines the latest Bluetooth 3.0 + HS technology with 802.11n Wi-Fi capabilities. 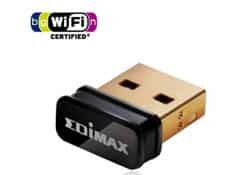 Without interference between the two signals, it supports Wi-Fi transfer rate of up to 150 Mbps and Bluetooth of up to 24 Mbps - up to eight times faster than Bluetooth 2.1 and Bluetooth 3.0!" - Keep in mind Wi-Fi/Bluetooth dongles can draw more power than the Pi USB port can provide out of the box. Bluetooth shield for Raspberry Pi allows to get a serial communication between your Raspberry Pi and other devices through Bluetooth protocol. "The Bluetooth PRO shield for Raspberry Pi has been mainly designed to discover high amount of bluetooth devices along with its RSSI and Class of Device (CoD)." "The Bluetooth wireless serial port module, Drop-in replacement for wired serial connections, transparent usage. You can use it. 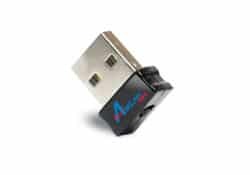 It is simply for a serial port replacement to establish connection between MCU and GPS, PC to your embedded project and etc." Instructable by metanurb: Androino! 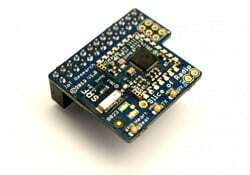 Control an Arduino from your Android device using a cheap bluetooth module. 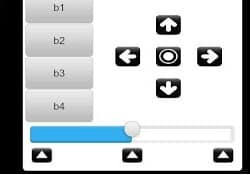 "BTInterface is an Android application for communicating with a micro controller device such as the Arduino, the Raspberry Pi, PIC or others to provide control functions and much more over a bluetooth serial connection." 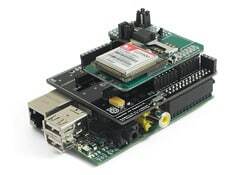 "GPRS SIM900 shield for Raspberry Pi offers GPRS connection to your Raspberry Pi board. It includes the SIM900 communication module from SIMCom. It is necessary an antenna in order to establish a communication." 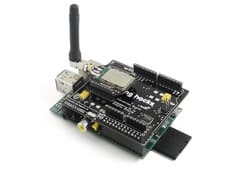 "This 3G shield for Raspberry enables the connectivity to high speed WCDMA and HSPA cellular networks in order to make possible the creation of the next level of worldwide interactivity projects inside the new "Internet of Things" era using your Raspberry Pi. Antennas not included." 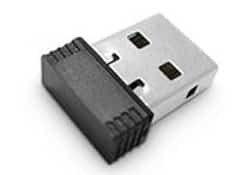 "Simply place your data enabled SIM (Not Included) into the Huawei E173 HSPA USB and plug the modem into the USB Slot on your laptop. 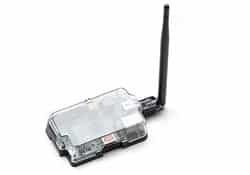 Specifications: HSDPA/UMTS/WCDMA 2100MHz GSM / GPRS / EDGE 850 / 900 / 1800 / 1900MHz HSDPA data transfer speed up to 7.2 Mpbs"
RockBLOCK: RockBLOCK can send and receive short messages from anywhere on Earth with a view of the sky using the Iridium Satellite network ‘Short Burst Data’ (SBD). 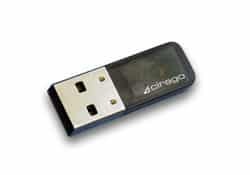 Compatible with Windows, Mac and Linux computers (including Raspberry PI™) and many other platforms with USB or serial ports. Terence Eden: 3g Internet On Raspberry Pi - Success! "Sakis3G is a tweaked shell script which is supposed to work out-of-the-box for establishing a 3G connection with any combination of modem or operator." - Keep in mind 3g dongle can draw more power than the Raspberry Pi USB port can provide out of the box. 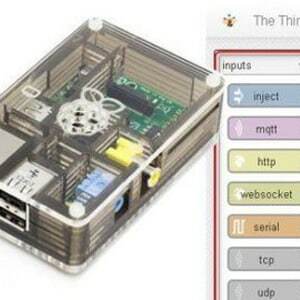 ThingBox, from the folks at FunDaTrix (itself the consumer-oriented arm of French software company Digital Airways), is a free and open-source project designed to let casual coders easily create programs for the Internet of Things. All you need is a Raspberry Pi and a little bit of technical know-how (but much, much less than a professional developer). “The Thingbox provides a ready-to-use, ‘all in one’ IoT software package that can be used by non-developers,” explained Digital Airways co-founder Nicolas Silberzahn in an email to Postscapes. The software includes the MQTT protocol for letting devices talk to one another and an HTTP server platform built on Node.js — though the target user shouldn’t need to know much, if anything, about that. The bundle can just be easily installed to the Raspberry Pi to make it ready for IoT programming thanks to Node-RED, a drag-and-drop visual programming interface developed by IBM Emerging Technology group (@knolleary, @ceejay) that runs in a web browser. Silberzahn told us ThingBox is still a work in progress, and future versions will improve ease of use, offer additional features and services, and make it easy to link ThingBox with mobile apps. To learn more about the project and find download links, visit TheThingBox.io. 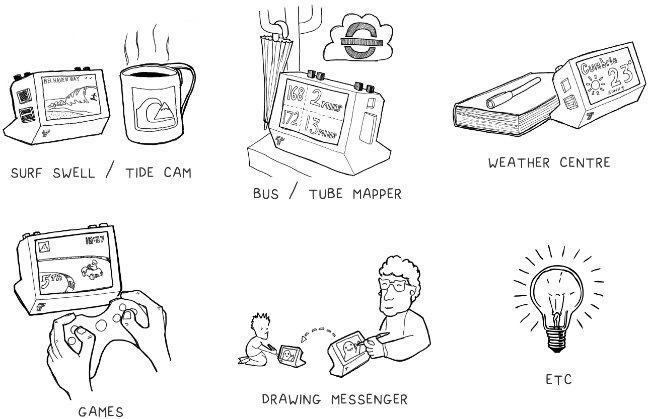 A lot of the most fun and creative uses for the technologies of the Internet of Things don’t appear as fully developed retail products, but as malleable platforms that unlock the creativity of the end user. 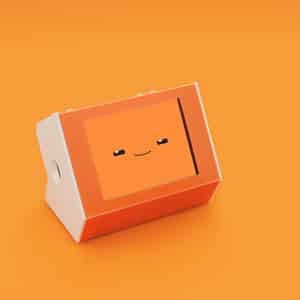 Such is the case with Tingbot, a programmable device built on top of the Raspberry Pi computing platform. 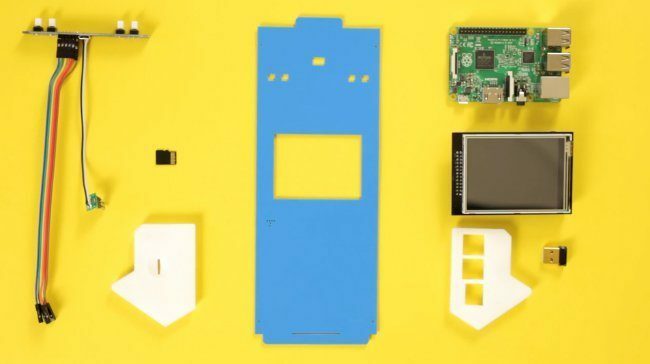 Created by NORD Collective, Tingbot is a simple, some-assembly-required kit for upgrading a Pi — turning it into a quirky cross between a smartphone, a dashboard display, and a hand-held gaming device. Programs can be written in Python using NORD’s Tide development environment, or downloaded from the Tingbot Ocean open-source app store. A 3.2-inch LCD touchscreen and four physical buttons give plenty of options for interacting with apps. Tingbot is designed for plug-in power, which makes it ideal as a sort of “desktop dashboard” for checking the weather and displaying schedule reminders; but it’s equally good as a way to create, send and display silly messages and animations, or for emulating your favorite old-school Game Boy games, or anything else you care to program. The screen module provides pass-through access to all of the Pi’s GPIO pins, so it’s easy to connect up additional components and customize Tingbot for other uses too. NORD wrapped up a successful Kickstarter campaign last week, and plans to ship Tingbot in early 2016. Check out the video below to learn more. Raspberry Pi SD Card w/ easy Wireless Setup and PiFace integration. Provides a web based service to allow simple Python scripts to be controlled from a panel over the Internet.